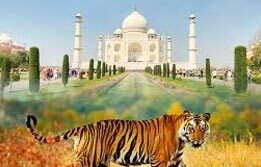 Taj Mahal Tour is one of the most favoured itineraries in India; allowing tourists to experience the majestic beauty of the one of a kind monument here. Dedicated to the queen posthumously by her wailing husband, Emperor Shah Jahan; this monument is a priceless jewel of India recognized worldwide for its architectural splendour. Besides Taj Mahal, tourists get to explore the heritage laden city of delights in Delhi and jovial royal heritage of Jaipur. Upon arrival at the Delhi international airport, meet India Budget Tours representative who will assist the transfers to the hotel for overnight in Delhi. After breakfast, move ahead for a full day sightseeing of Delhi. 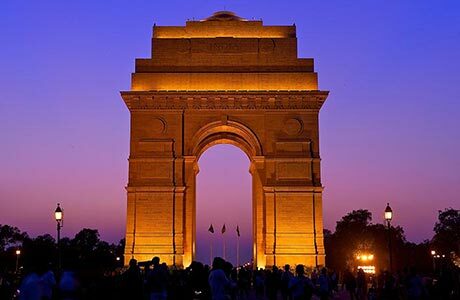 The city of old and new, Delhi is known for its delightful share of heritage belonging to many eras of time. 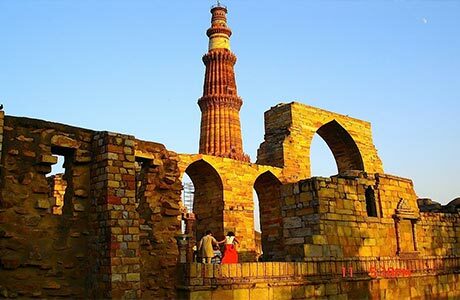 From the Mughal era monuments and a city within the city in the form of Red Fort, Jama Masjid, Chandni Chowk in Shahjahanabad to the imperial Delhi featuring India Gate, Parliament and President House; the city represents a true timeless appeal to every visitor. In fact, it welcomes a tourist in its own authentic way. Return to the hotel for overnight stay. 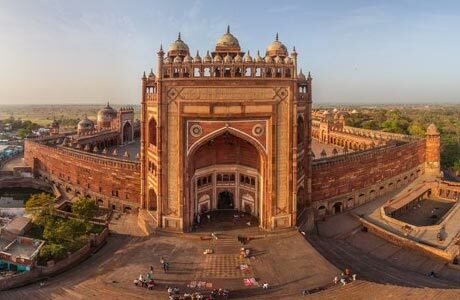 After enjoying a fortified breakfast at the hotel, check out Delhi and continue the Taj Mahal tour with a drive to Agra (4 hrs journey, 201 km). 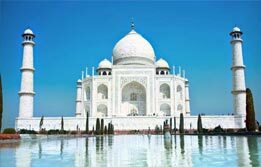 On arrival in Agra, check in to the hotel and proceed for a sightseeing tour. 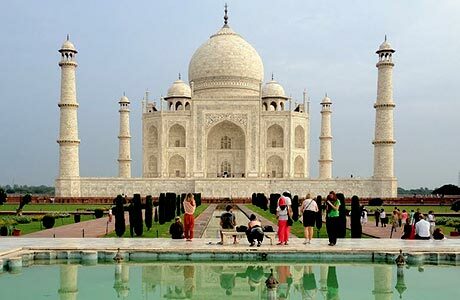 Begin Agra city tour with a visit to world heritage site of Agra Fort, Itmad-ud-Daulah, Akbar's Tomb and world famous Taj Mahal on a battery van ride. Later in the evening, explore the colorful markets of the city and shop for iconic Pietra Dura souvenirs and eat out. Overnight at hotel. 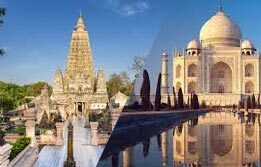 After breakfast, check out the city of Taj Mahal and continue following the most effective itinerary in India with a drive to Jaipur (5-hours journey, 221 km). En route, detour for Fatehpur Sikri, a ruined fort city established by Akbar and take a heritage walk to the palaces, mosques, pavilions, tombs, and Buland Darwaza (the largest gateway in the world). On arrival in the Pink City, check in at the hotel and relax for the day. Explore the colorful ancient markets of the city in the evening or enjoy the hotel facilities. The majestic forts and palaces aligned on the massive city walls are never to far from sight. Overnight stay at the hotel in Jaipur. (Taj Mahal remains closed on all Fridays). In the morning, proceed for an excursion towards impregnable Amber Fort. 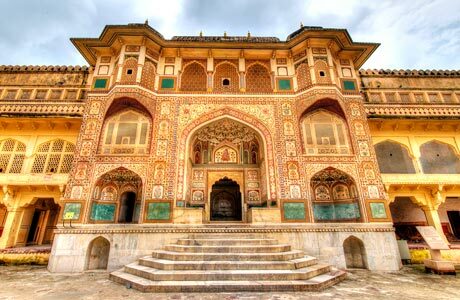 Built atop a steep hill, this fort is considered the pride of Jaipur. The charm of this former Jaipur capital lies in its treks, elephant rides and jeep safaris which are used to ascend the hilltop fort. Once tourist reaches here, a whole panorama of Mughal and Rajputana architectural blend opens up in front of him through mirror inlays, art on walls and complexes like Diwan-e-Aam sourced from Mughal architectural aesthetics. 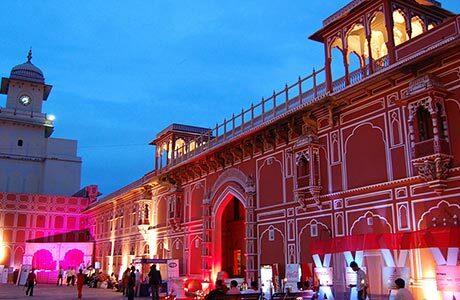 After the excursion is over, return to Jaipur and continue the city tour via a visit to City Palace (the living royal palace featuring a museum preserving the kingly antiquities) and Chandra Mahal. Continue the tour via visiting Jantar Mantar Observatory (the finest astronomical observatory built by Maharaja Jai Singh II), Hawa Mahal (five-storied ‘Palace of Winds' triggering the imagination),Jaigarh Fort (famous of the largest cannon-wheel) and Nahargarh Fort (now a heritage hotel). Return to the hotel for an overnight in Jaipur. Mahal tour. Post lunch drive to the Delhi international airport (5 - 6 hour journey, 252 km). On arrival, board the flight back home or towards the onward destination. Room on twin sharing basis at each place as per itinerary for total 05 nights. Hotel check in / out 12:00 hrs.